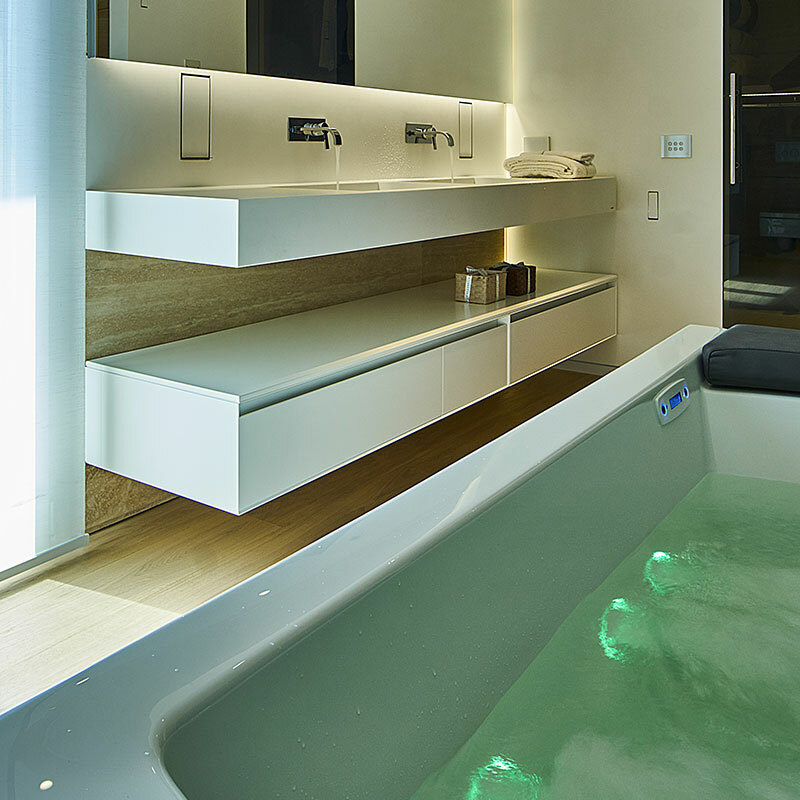 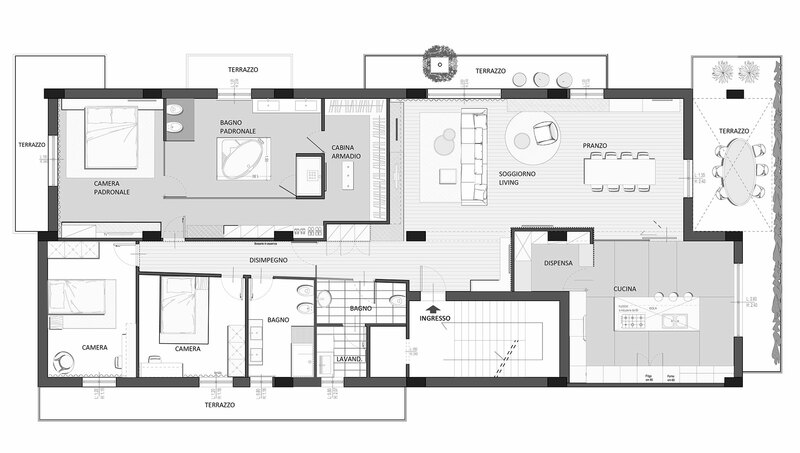 Private apartment, Crotone - Sammarro Architecture Studio. 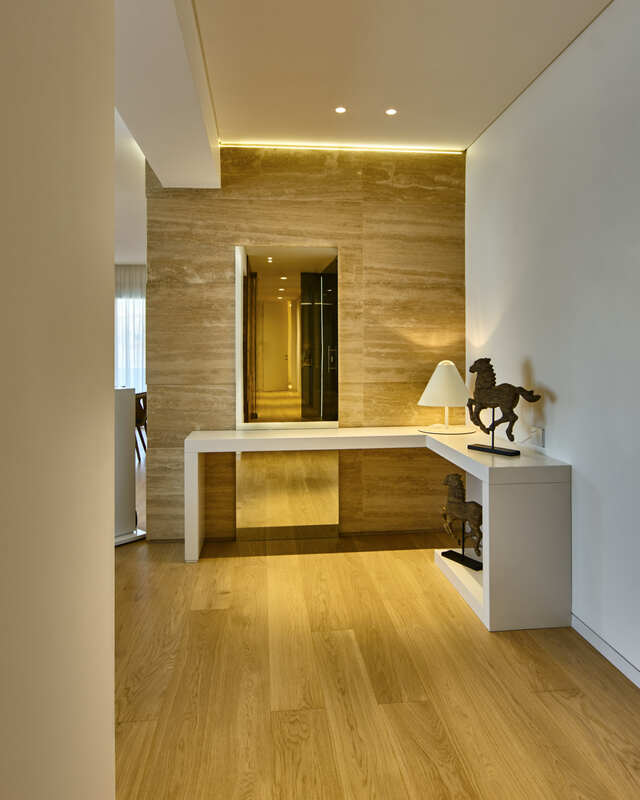 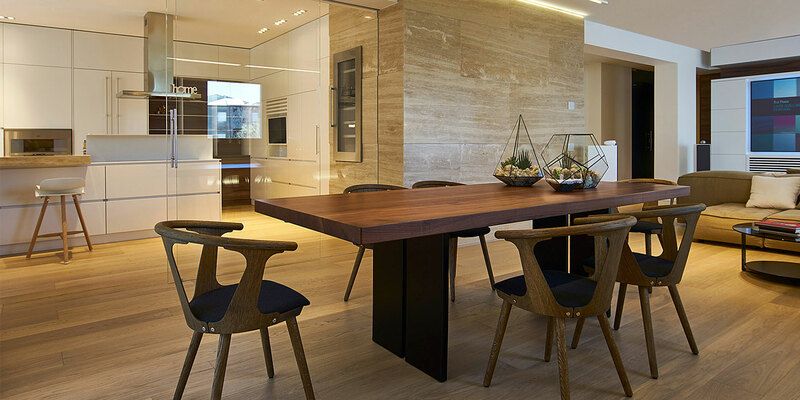 The lights highlight the combinations of volumes and materials, while wood and travertine combine perfectly with the total-white minimalism of the rooms. 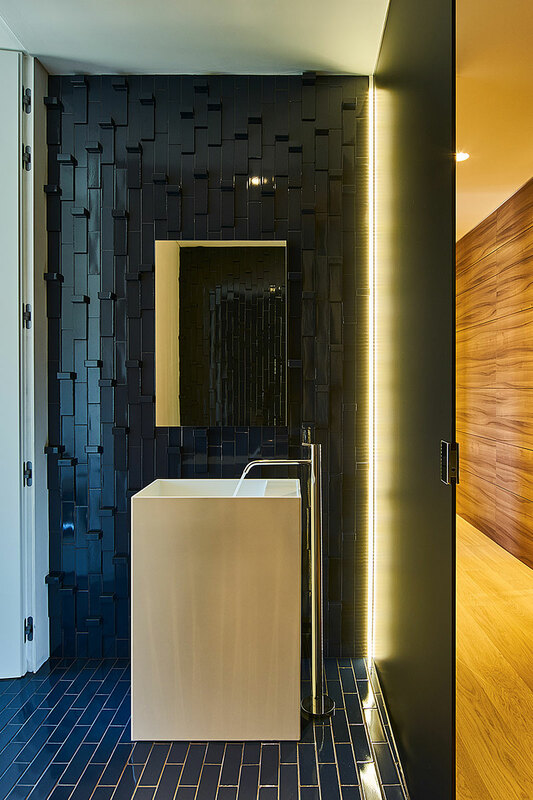 The protagonist of the project is undoubtedly the main bedroom with a large bathroom, visible from all angles thanks to the presence of a fumé color glass wall that separates the space.